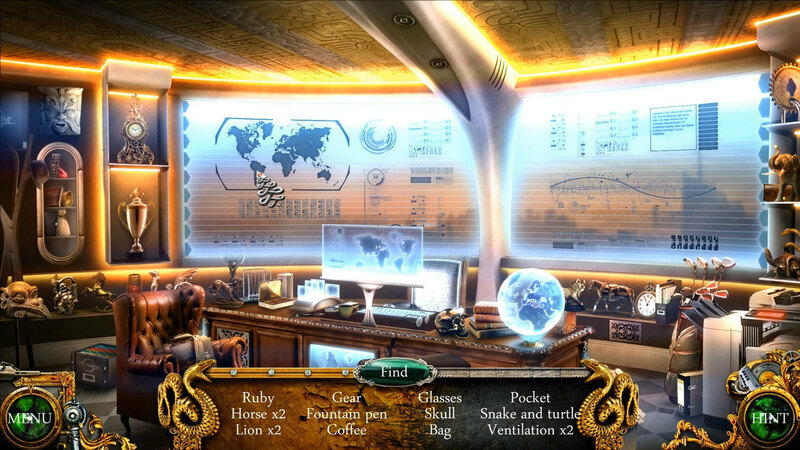 A murder mystery themed hidden object game. Is there a better alternative to Black Viper - Sophia's Fate? Is Black Viper - Sophia's Fate really the best app in Puzzle category? Will Black Viper - Sophia's Fate work good on macOS 10.13.4? Black Viper - Sophia's Fate needs a review. Be the first to review this app and get the discussion started! Black Viper - Sophia's Fate needs a rating. Be the first to rate this app and get the discussion started! Discover the secret behind this strange murder in Black Viper - Sophia's Fate, by searching the many detailed and varied backgrounds: visit the Octurni manor and its secret hideout, and escape from a high-security laboratory… Your double agent role will help you get to the truth: you’ll carry out the investigation as a cop, by collecting clues about the victim's death and questioning the suspects, and you'll finally unveil the mystery surrounding this murder thanks to your talents as a thief. Search over 35 unique locations to find the elements that will help you make progress in your investigation and the game. Solving the many available mini-games will also open up new paths of inquiry. Your determination will help you complete the numerous hidden object scenes. A thrilling universe where sensuality and justice go hand in hand. More than 40 places to discover, 29 hidden object scenes and 26 mini-games to test your patience and reasoning.